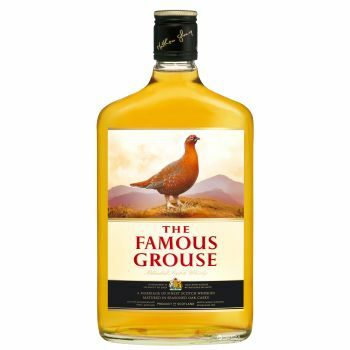 The Famous Grouse is a premium blended scotch crafted with the finest ingredients to create a rich, sweet, well-rounded whisky. Alcohol Content 40 %. Nose: Well-balanced oak. Sherry with a citrus hint. Palate: Medium full flavour of chocolate orange, vanilla and dried fruits. Finish: Good length, clean and medium dry.